The project initially unites the papers of Heinz von Foerster (University of Illinois Archives), Warren S. McCulloch (American Philosophical Society), W. Ross Ashby (British Library), and Norbert Wiener (MIT Institute Archives & Special Collections)—four founding members of cybernetics, whose mutual influences were profound and whose lives intersected in many ways. While the four repositories included in this grant proposal hold archival material of cyberneticians who closely collaborated and corresponded with each other, these collections are only a part of the larger documentary universe that captures the unique history of cybernetics. Click on the images below to learn more about these cyberneticians. 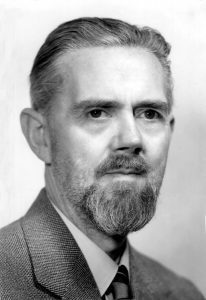 William Ross Ashby (1903-1972) was a pioneer in cybernetics and systems theory and a key figure in the development of cybernetics in postwar Britain. Warren Sturgis McCulloch (1898-1969) was one of the founders of cybernetics. He did pioneering research in computational and biological computers, as well as basic research in neural structures and function, biological psychiatry, chemical warfare, and space biology. Heinz von Foerster, found in record series 11/6/26, box 116. 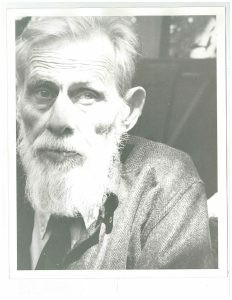 The Heinz von Foerster Papers are held by the University of Illinois Archives. 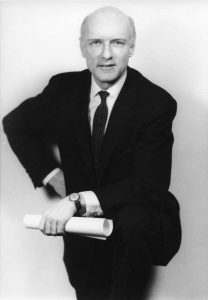 Born in Vienna, émigré physicist Heinz von Foerster (1911-2002) is considered to be one of the pioneers of cybernetics, especially for his role in establishing second-order cybernetics. Norbert Wiener, found in record series 11/6/26, box 34. 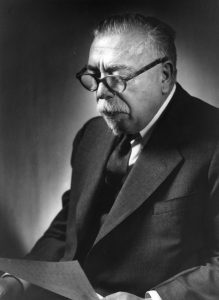 The Norbert Wiener Papers are held by the MIT Institute Archives & Special Collections. Norbert Wiener (1894-1964) was a major figure in mathematics of the 20th century, and his interests extended far beyond traditional boundaries.